Zachary, Hannah & Lindsey with their cousins Amanda, Spencer & Lance, and of course Pluto. Guess what Zachary got for the Holidays? Guess what Hannah got for the Holidays? Guess what Lindsey got for the Holidays? 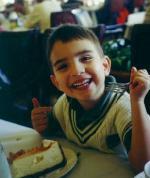 Zachary enjoying a piece of Cheese Cake at his Great Grandmother's 93rd Birthday Party. 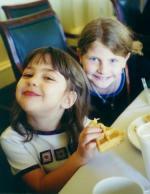 Hannah & Amanda at their Great Grandmother's 93rd Birthday Party. 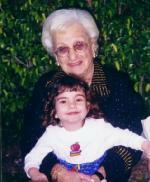 Lindsey and her Great Grandmother Rose.